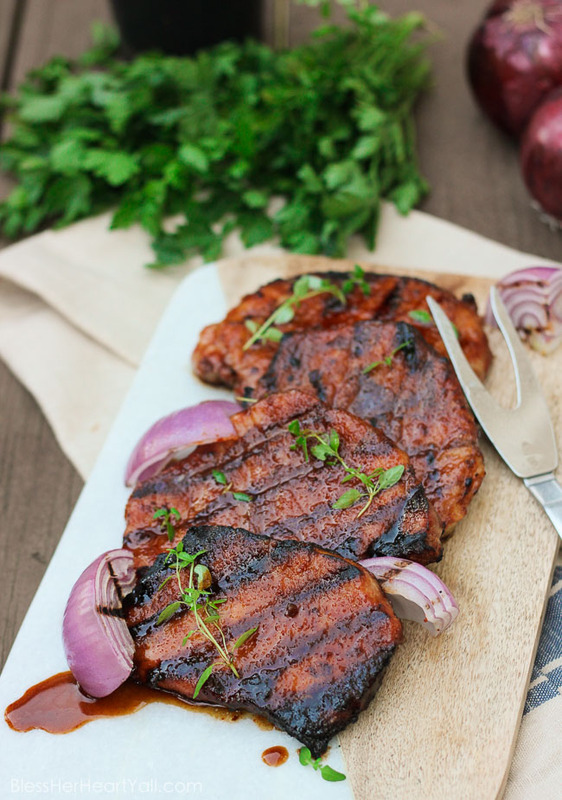 Southern Glazed Pork Chops - Healthy, Quick, & Easy! 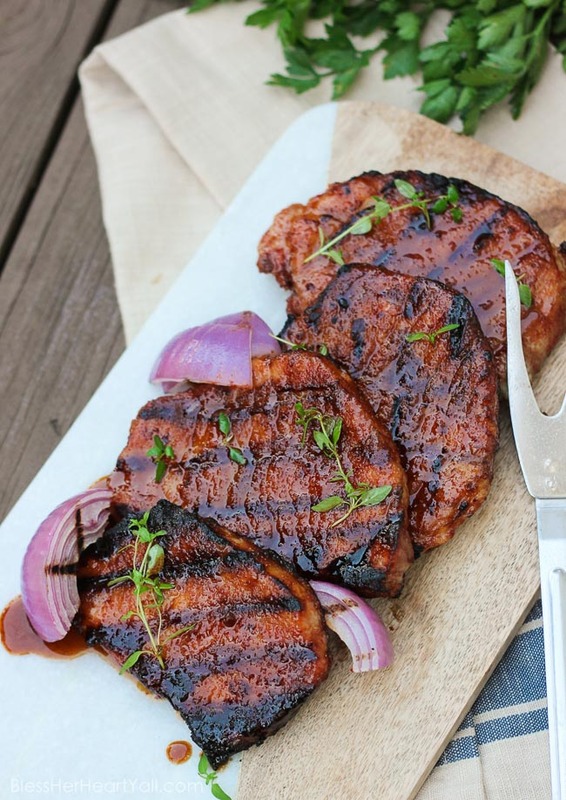 These gluten-free southern glazed pork chops are an easy 5-ingredient recipe that combines the sweetness of brown sugar with the spiciness of cayenne pepper. 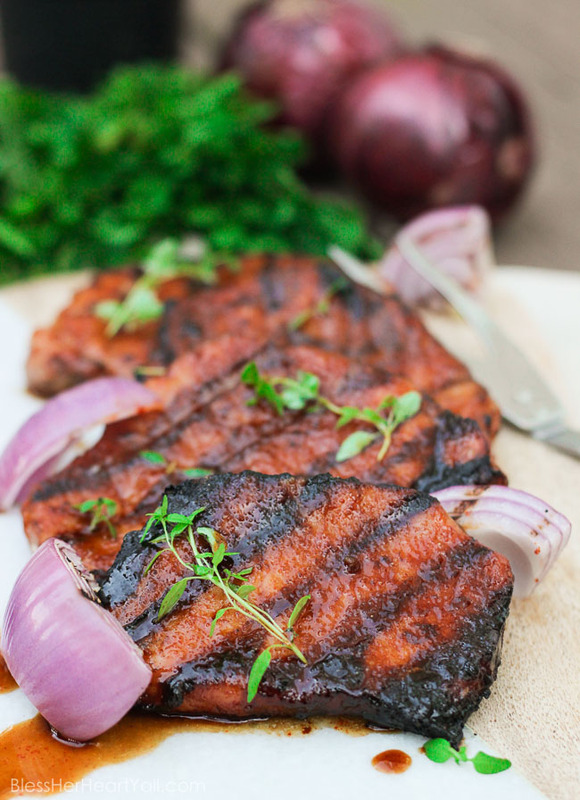 A few minutes marinating and then quickly kissed on the grill, these southern glazed pork chops create a tender, juicy, flavorful meal in just minutes! 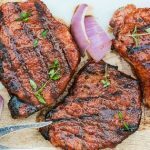 There’s a couple of grilled recipes that our little family of two can dominate from start to finish in under 30 minutes. This is one of them. 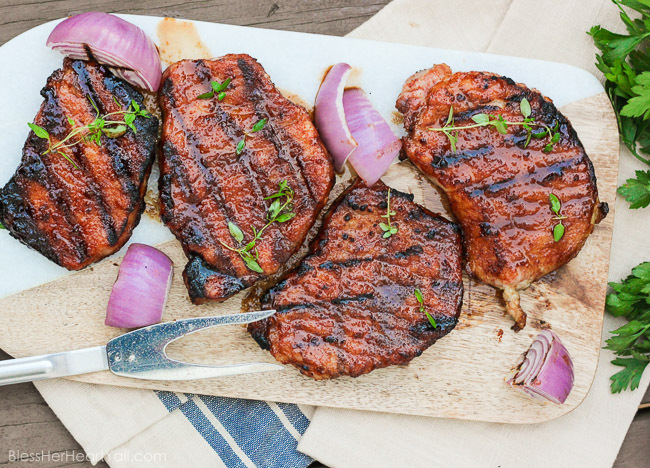 These southern glazed pork chops are sweet and spicy, just a few simple ingredients, and then tossed on the grill for a few minutes. This sounds like a dumbed-down kind of thing, because it’s a dumbed-down recipe, it’s hard to mess up. And that’s perfect for a beginner griller like myself. Now that I said that, I have totally jinxed myself next time I am attempting the dang grill. But seriously, this is an easy recipe. The glaze is made up of paprika, garlic powder, cayenne pepper, and brown sugar. You can definitely swap the brown sugar out with coconut sugar for a refined sugar free alternative that tastes just as great. 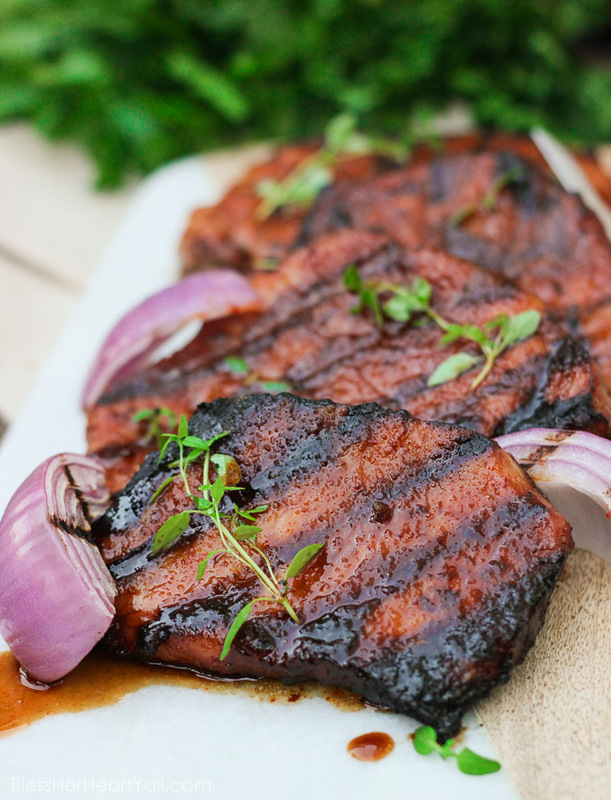 I like this coconut sugar for this southern glazed pork chop recipe. You simply rub the spices on the pork chops, let the chops chill, and then grill the pork chops on the grill. I like to let the pork chops marinate in the fridge for at least 30 minutes, but an hour or two is even better. It just depends on how much time you have to wait. 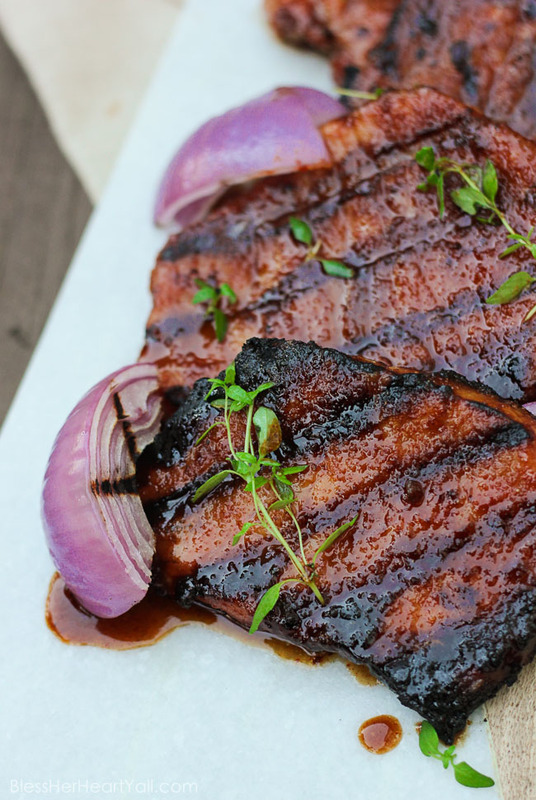 A few minutes marinating and then quickly kissed on the grill, these southern glazed pork chops create a tender, juicy, flavorful meal in just minutes! Combine the brown sugar, garlic powder, cayenne pepper, and paprika in a bowl. Rub the dry mixture onto both sides of the pork chops. Allow the rub to turn into a glaze by allowing the pork chops to chill in the fridge for 30 minutes. Grill pork chops thoroughly and enjoy! Easy peasy y'all! We grill these southern glazed pork chops over medium-high heat for about 6-7 minutes on each side. Use your best judgment because all grills vary. Make sure the internal temperature of your southern glazed pork chops reaches 145*F before taking them off the grill. We like to use a meat fork that measures the temperature for you, like this digital fork thermometer.